Did you know that 75% of all clicks on search engine queries go to organic results? Organic SEO drives traffic and boosts rankings, and content is what drives SEO. Content marketing is the foundation of every successful SEO campaign. Getting your website to rank in Google is not about peppering your pages with one or two keywords anymore. Google’s algorithms focus on quality content that engages, builds trust and establishes authority within your industry. But, here’s the thing, when it comes to search engine optimization, it’s not as simple as pressing a button and making it happen. Achieving good SEO results requires cutting-edge expertise in order to it properly. Creating campaigns and working on SEO is not easy. We’re talking about full-scale professionally managed SEO work. When we work with an SEO client, we invest a significant amount of time, resources, and expertise into each of them. But that also means that there’s only so many people we can work with at any given time. So their commitment to stay in for the long haul must be there, coming out of the gate. Each service is going to require varying amounts of time to do. There is no one-size-fits-all when it comes to SEO and pricing will depend largely on what your goals as a client are. But, to give you an idea of what type of services and ballpark pricing are available, here are a few scenarios. These prices below are not a fixed price quote, but rather a general estimate of what a client might pay for a particular set of SEO services. Client dashboard so you can access and view your keyword rankings, website traffic reporting, Google SERPs report and other data. Extensive on-page optimization, which includes web copywriting. Local schema implementation, including local business schemas. Local business setup among the top local business categories and data aggregators plus month-on-month rich media citation building to increase business information consistency. Client dashboard so you can track your campaigns, view keyword rankings, website traffic reports, Google SERPs report, and other data. Extensive on-page optimization which includes up web copywriting. Monthly rank building through blog outreach and magazine news placements. A website audit is the starting point for any of our managed SEO services (and is a required first step), or can be used as a stand-alone service to simply give you an understanding of where your website is in regards to search engine optimization and your overall online presence. No SEO services can be scheduled, or an actual price quote for proposed services be provided, until we have done your comprehensive website audit to review your company’s entire digital footprint and identify your strengths and weaknesses, so we know what needs to be done to bolster your online presence. Our audit will show how your brand is being represented online, how easily it is discovered, and steer you into some solid ways you can improve your online standing. We review your website, blog, social media, and search engine results in the audit. You will receive a written report of our recommendations. Even if you don’t ultimately decide to sign up for any of our SEO services, this audit will give you a guideline with some clear ideas of what you can do on your own to improve your online marketing efforts. You receive a written report of your audit findings and the option to schedule a phone audit review conference for an additional fee, if you would like. This is an optional service, available after your initial website audit, if you would like to schedule a two-hour follow up phone conference in conjunction with your written website audit report. We will review your online marketing strengths, weaknesses, opportunities, problems and recommendations for solving them. We can answer any questions you many have and offer some suggestions for implementing various improvements. Perhaps, after your audit, you don’t want to commit to any long-term managed SEO work, but would instead like to try to implement some things on your own. We can write an action plan for you to steer you in the right direction. This does not mean we will be doing the work for you (that’s what our monthly plans are for), but rather we will create a unique “road map” for your company that helps you to maximize your online presence, increase your exposure and help create awareness of your brand. Market Research. This may include detailed research of your brand, profiles on your competition, community demographics, target markets and ideal clients. Content Creation Concepts. We can offer you direction for creating your online content. This may include things such as blog topics, examples of the type of social media updates you should be doing on a regular basis, and other types of online inbound marketing that will help bolster your presence on the web. Metrics, Statistics and Results. We will install Google Analytics and Google Webmaster Tools for you (this means setting up accounts on your behalf) so you can measure your click through rates, see where your traffic is coming from and measure engagement. Publication Schedules. We can help create a mapped out strategy and calendar for posting online. We show you how to increase your exposure by optimizing keyword research and publishing at certain times during the day, week or month. It’s important for you to have clear expectations from the start to avoid frustration with your managed online marketing services. A minimum of six to twelve months needs to be given on most services in order to start seeing some rank growth, especially for a totally new website. As stated above, this is not an easy process – that’s why you are hiring someone else to manage it, right? – and it takes a lot of time and a lot of work to do. It requires a lot of man hours on our part. If you aren’t willing to commit to the time needed to see growth, we can’t help you. And, you must also be willing to be involved, to a certain degree, in the process. Keywords selection is vital to bringing in quality leads. As a client, you must be involved in keyword selection and evaluating content created for them. The right keywords bring the right kinds of visitors to your website. Also, understand that mild fluctuations in rankings are normal over time. The overall direction of your ranking trend is best evaluated month to month. Summaries of your campaign’s progress are prepared each month for you to review. Google strictly warns SEO marketing firms against giving ranking guarantees. As a matter of fact, they forbid them from doing so. We can only guarantee to deliver the service levels we agree upon, and to keep you updated on the progress of your campaigns regularly. Our full service campaigns launch on a scheduled basis twice per month. Payments are organized one month ahead of time and paid prior to work being completed. We launch new campaigns and service cycles on the 1st and 15th day of the month, and all reports and invoices are arranged at this time. If I don’t like my results can I get my money back? No. Managing SEO for a client expends a considerable amount of staff, time and effort. We follow white hat SEO techniques, which is what search engines like Google are looking for. 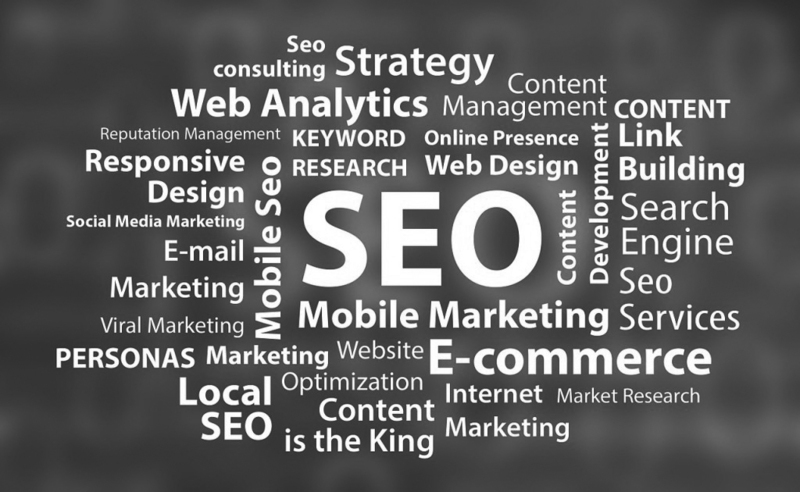 But, the quality of your rankings depends on a variety of factors, many of which may have nothing to do with the managed SEO services we are providing. As a client you should be doing things too, to help your own SEO, like consistently posting new content, through a blog or to your website directly. This keeps your website relevant to search engines. There is nothing they hate more than a dead site that no one updates. You should also be doing things such as actively promoting your own site by including your URL in every piece of printed correspondence your company sends out, whether it is a letter to a customer, a business card or a thank you card for a job. If advertising in print, be sure to include your website address in your ads.